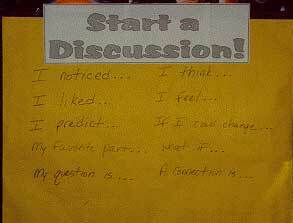 Begin with a few prompts, then ask your students to add others that they feel would stimulate conversation. See below for a list of prompts that Adam Brauch's third graders (Fairmount Elementary School in Mukilteo, Washington) developed after he introduced one or two. The students' favorite prompt? "What if..."! Questions Rather than give students a long list of possible questions to discuss, ask your students, "When you were meeting with your groups, what questions really got the conversation going?" Brainstorm a short list of questions that seem to stimulate discussion. Suggest to students that they use these questions in their discussion if they can't think of other things to talk about. Students can also write questions in their journals as they read, then bring those questions to the group. 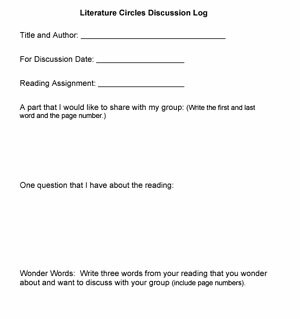 Caution: Using questions to generate discussion can lead to students simply reading their questions in the circle, one after the other -- without anyone taking the time to answer the questions. If that happens, you may need to teach some strategies for using questions as a focus for real conversation (click here to learn more about teaching students the art of discussion). 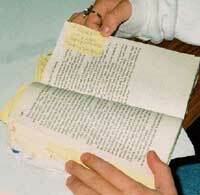 Post-it Notes The best -- though unintentional -- invention for literature circles is the Post-it Note. These small "flags" work well to identify passages that students want to share in a discussion. They are portable, adhesive, and removable -- creating a tool for gathering information during reading that can be used more than once. As they read, students can make short notes or write questions on the Post-it to remind them of what they want to discuss. Bookmarks Bookmarks provide support for both reading and gathering information. As they read, students can use the bookmark to record interesting or puzzling words they encounter and to write questions for their group; bookmarks can also be used to keep track of pages to be read. Like Post-it Notes, bookmarks provide a small amount of space for writing -- offering students a way to capture information that they would like to use in their discussion but not too much space that students would be tempted to read, rather than discuss what they have noted. 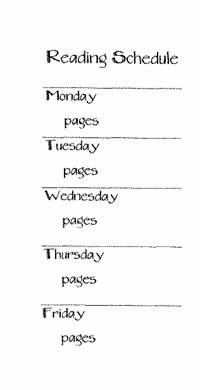 Example 1 below shows a bookmark used to keep track of the number of pages to be read. On the back of the bookmark, students can make a few notes about what they would like to discuss. Example 2 offers space to note "wonder words" -- words that students would like to talk about with their group, as well as a place to jot a question or two for discussion. Example 3 is more open-ended, simply providing space to capture ideas. Golden Lines "Golden lines" are powerful quotes that automatically provide interesting discussion material. Many students find it much easier to select something the author said than to come up with their own reactions. Therefore, Golden Lines are an easy and effective strategy for gathering information to discuss. 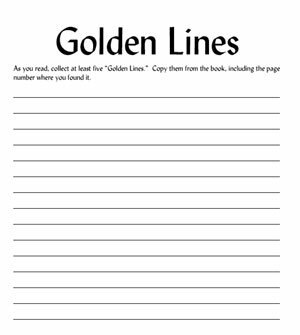 The Golden Lines form is very simple to prepare; you can just staple a lined piece of paper into students' response journals for this purpose. Simpler yet, just ask students to use their journals to capture quotes they'd like to discuss with their group. 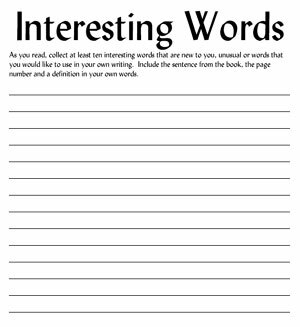 Interesting Words One effective way to develop students' vocabulary is to ask them to note interesting, unusual, vivid, or especially effective words they come across as they read. However, focusing their discussion only on these words will not work very well. Instead, help students use these words as supplements to their conversation -- as an option for discussion if they run out of other topics, or as evidence of the author's word choice to support other points made in their conversations. 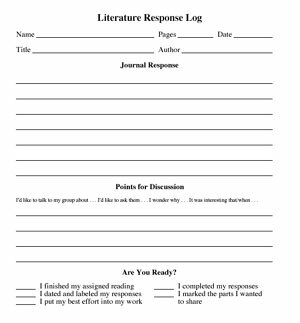 Discussion Logs Discussion logs are a more structured way to prompt students to collect quotes, questions, and interesting words. Some teachers find that having students write down what they want to share in the discussion helps everyone participate more fully -- and be more accountable. The log provides just enough space for a quick notation; it differs from a journal, whose purpose is more extended and reflective response.